When I got home from work each night, I would stalk "webmaster" forums until 2 a.m., where webmasters talked about what was working for them. I didn't contribute anything nor did I have a login account (I can't remember if there even was such a thing back then). I just went to the forum and watched the things that everyone was talking about. Back then, it was all about on-page SEO; the term "backlink" was not a part of anyone's lexicon. We knew that in order to rank well, we needed to target the phrases we wanted to rank for, put them on our pages in the right places, the right number of times and emphasize them in the right ways. Although some of the practices employed in those days would get your site permanently banned these days, it did give me an excellent background into optimizing pages around words. Not long thereafter, Google quickly took over and became the verb and Goliath that they are today. Because their algorithm was so heavily built around backlinks and not as concerned about the content on pages, people soon forgot that relevant content was what people were really looking for when they searched online. "Get a link, any link, from anywhere" became the mantra of SEO specialists and whether or not there was decent, well optimized content was largely irrelevant. Needless to say, Google's search results eventually became littered with all kinds of sites that not only shouldn't have been ranking as high as they were, many had little or nothing to do with the search queries that people were entering. Realizing the quality of their search engine was suffering, Google introduced the Panda algorithm filter to weed out truly horrendous sites without quality content and the Penguin algorithm filter, which penalized websites who had figured out how to game their search engine by getting low quality, manipulative links. Recently, Google has refined their algorithm, introducing Hummingbird and Rank Brain - algorithmic filters that try to determine the true intent of search queries. Today, a query for "coke" will bring up one set of results. Searching for "Whitney Houston" brings up another set of results. Add "Whitney Houston" and "coke" together in a search query, and you get an entirely different set of results! These days, you can't find a search engine optimization blog that doesn't write three or more articles about content, content marketing or content quality for every post they publish about something else. It has come full circle - almost back to where I started in the late 90s - with so many writers talking about optimizing page content like it is some brand new concept. To be sure, backlinks are far more important now than they were back then, but it all starts out with well optimized, high quality web pages. Without that, all the backlinks in the world will have very little lasting effect on your search engine rankings. That said, contrary to what most "SEO experts" tell you, it is not at all impossible to get pages to rank very well for fairly competitive search terms without a single backlink if you have truly stellar, well-optimized content. I've done it for my own websites and you can, too. Just know that your perfectly optimized content pages will climb far more quickly with equally high quality backlinks. There are bits and pieces written here and there about on-page SEO but there are very few comprehensive resources that tell you everything you need to know about on-page SEO, particularly for eCommerce sites, which have their own unique set of problems that most SEO "gurus" fail to consider. Now, I nor anybody else can pretend to know how the more than 200 ranking factors Google uses in their algorithm really play with one another. All we can do is tell you about our experiences and what we have seen that works. Much of what works today is exactly what worked nearly two decades ago, though. In this article, you'll find a few little tidbits of "magic" that make all the difference between a page that does okay in the search engines and one that catapults to page one. The really good news is that optimizing your pages is not nearly as mysterious as many people would lead you to believe. In fact, everything that helps a page rank better makes complete sense when you think about it! Before I get into the specific things you need to implement on your pages, it is important to emphasize something that most people should know, but few people really seem to. Google does not rank websites, they rank individual web pages. That's extremely important because it means that each and every page of your website is a unique opportunity to open a new "search door" to your site. The more doors you have into your site, the more traffic and sales you ultimately will receive. This is why you cannot think of your website in terms of a single keyword phrase. When you are building a website, you really need to do expanded keyword research and discover ALL of the search terms that people are using that might have pages devoted to them on a site you are creating. My rule of thumb is that if it gets at least 10 searches per day, it's worth creating a page around a search phrase. After all, if you have a website with 200 pages and each page is centered around a search phrase that only gets 10 searches per day, you are really targeting 2,000 searches per day. If you are able to get 20% of those searchers to your site, that's 400 people and if they convert at a modest 1% rate, that's four sales per day! If you make $50 per sale, that's $6,000 per month in profit. Not too shabby for just one website! Understandably, many people use Google's Keyword Planner to discover all of the things that people are searching for that are related to their particular niche. It's free, after all! Unfortunately, as good as the tool is at revealing all of the phrases related to any given seed keyword phrase, the tool gives you no data on how hard it is to rank for those keyword phrases. The "Competition" column they show you in the tool only indicates how much money you can expect to pay to advertise with Google AdWords for the various search terms it uncovers. Google's tool does not give you any indication of how hard those terms will be to rank for organically. Now, one can somewhat reasonably conclude that of competition is fierce for AdWords bids, it'll naturally be equally fierce for organic search. Unfortunately, that's not always the case. There are many search terms that throw off false positives in Google's Keyword Planner. People don;t bid high on them for a myriad of reasons but they are still very competitive for organic search. This is likely because Google's current algorithm is "smarter" than it used to be and it shows results based on what it believes a searcher's intent is, not necessarily what they typed in. That means many sites are showing up on the first page for words that may not even be on their pages! I've tried and discarded pretty much every keyword tool out there. Currently, what we use is the SEMrush suite of tools. Not only does SEMrush do an excellent job of showing you all of the related phrases for any given seed keyword that you enter, but you can see how hard they will be to rank for. In addition, SEMrush has tools for practically everything else website related - tracking your keyword rankings, showing you competitor backlinks, providing real information for how to better optimize individual pages, and a whole lot more! You can try out SEMrush for 7 days and experience the amazing array of tools by clicking here. Once you know all of the search terms that you want to target on pages of your website, optimizing your pages for search engines is pretty darned easy. A word of caution; however, we always recommend that you create your web pages for people first. After you have written your pages as best as you can for human beings, finding which pages best match your targeted keyword phrases and tweaking them ever so slightly for search engines is a piece of cake! In this article, I will discuss the 12 essential elements of a perfectly optimized web page. If you feel like you already know everything there is to know about any of the page elements discussed, you can jump directly to the section you want more information about by clicking the following links. Be forewarned; you might miss a magical tidbit or two, assuming you know all there is to know about something! Without a doubt, the most important on-page SEO element is the title tag. It is not only the first thing that search engines "see" but is also the headline that gets people's attention in organic search listings. Therefore, your title tags need to be constructed for both search engines and human beings. Start with optimizing them for search engines and then add something at the end of them to grab a searcher's attention. 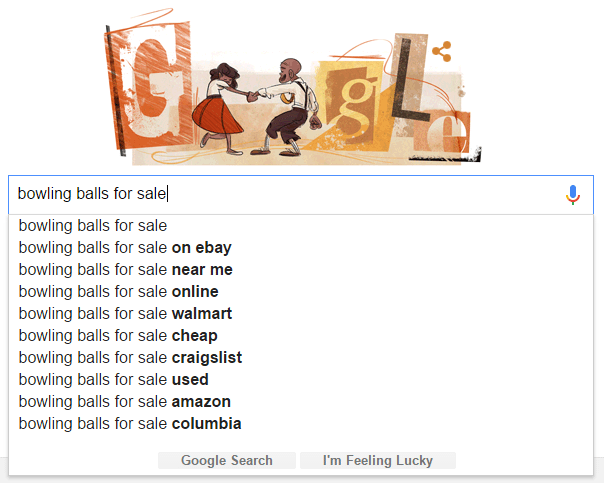 If you wanted to target the search phrase "bowling balls for sale", for example, put that at the very beginning of your title tag. Then, add something that will get people's attention - "Bowling Balls For Sale - Huge Selection - Low Prices!" You definitely want to make sure that your entire title tag fits in the limited amount of space that search engines give for your organic listing's "headline." For years, various experts recommended different character counts as maximums for title tag lengths. It turns out, those "experts" were incorrect. Google does not have a defined maximum character count for title tags; they have a maximum amount of pixel space a title tag can be. A title tag consisting of nothing but the lowercase letter "i" can have far more characters than a title tag consisting of nothing but the uppercase letter "W", for instance. It looks like my "bowling balls for sale" title tag fits perfectly. If I was looking for a new bowling ball, that "headline" in the search listings would certainly get my attention! The meta description tag is the "blurb" consisting of a sentence or two that you see underneath the "headline" in organic search listings. You'll see different maximum character counts from different "experts", but I recommend that they be anywhere from 120 to 150 characters. Anything less than that, and Google might ignore them, substituting random words from your page. Anything more than that, and there might be too many to fit all search engines (Google is not the only search engine on the planet). Although technically, the meta description does nothing to directly influence your search results, the words you use can have a dramatic effect on your click-through rate. A Recent study shows that when you get more clicks than is the ordinary percentage for any given ranking position, your rankings rise. It is our opinion that there may be no more important factor on rankings than the percentage of times your organic listings get clicked. Therefore, aside from the obvious fact that the more times people click on your listings, the more sales you can get from the traffic, it is crucial to do everything you can to get people to click on your organic search results in order to obtain higher search rankings. Once you've created an eye-catching title tag, you want to make sure that you give them a compelling reason to click your search listing. Use your meta description tag to mention discounts, your large selection, your satisfaction and/or low price guarantee, warranties, free shipping - anything that will get them to want to visit your site. Better yet, rather than guessing what types of things to put in your meta description, take advantage of the testing that others have already done for you. As most people know, companies who spend money on AdWords text ads split test the heck out of those ads, changing them constantly in order to find which combination of words get the most clicks. Do a search for the keyword phrase you are trying to rank for, take note of the words companies are using in their ads, and use those words in your meta descriptions! Ever notice that some websites have all sorts of extra information in their search listings like rating stars, the number of reviews and prices? That is something done with "schema markup" (also called "rich snippets"). Like putting something attention-getting in your title tag, schema markup - particularly rating stars - definitely catches the eyes of searchers. If you are lucky enough to be using a shopping cart that automatically inserts schema markup on product pages, you don't have to do anything. The shopping cart automatically inserts rating stars, the number of reviews, prices, availability, etc. into all of your product page markup. That markup eventually starts appearing in your organic search listings automatically. Our favorite shopping carts - Shopify - automatically inserts all kinds of rich snippets into the meta data about your products that Google picks up. If you are unfortunate enough to be using a shopping cart that does not do this for you, you will have to learn how to insert the HTML code yourself, assuming your shopping cart even allows you to edit the <head> of product pages on a page by page basis - many DO NOT. You can either try to figure out product schema markup yourself and then implement it utilizing variables your shopping cart creates for products or hire a programmer to do it for you. Words that are tagged with headings get more attention from search engines, so you definitely want to take advantage of having targeted keyword phrases in a heading on each page. So that your pages are not hit with over-optimization penalties, you should use a slight variation of your title tag in the header you place on a page. Using the previous title tag example of "Bowling Balls For Sale - Huge Selection - Low Prices!" as our title tag, we might want to having a heading tag (also called an "H1-Tag") something like "Discount Bowling Balls - Free Shipping This Week!". Ideally, we would like to insert these as H1 tags, which are the largest, most prominent of all header tags. Unfortunately, most shopping carts use the product name, category name or page name and automatically insert that as the H1 for the page. You can only have one H1 tag on a page, so you'll need to use an H2, H3 or H4 tag, whichever you prefer stylistically, to insert your targeted header on a page. On category pages, you can create a new section below the area where the products are listed and put the targeted heading there, along with more relevant text about that category. On product pages, you can put your targeted heading in the detailed description body. Resource articles typically have various sections to them, creating all sorts of opportunities to add headings. If you want to rank for a keyword phrase, it only stands to reason that the phrase needs to appear in the text of your page at least once. Contrary to what you still see on so many "SEO guru" sites, there is no ideal "keyword density" for your phrase. Once is all you really need - there are other important words that you'll want to add, which we'll get into in the next section. Can it be more than once? Of course! Just be careful not to stuff your phrase in the text repeatedly because you think you have to. Overusing a phrase could actually get you penalized for over-optimization. There are things you can do to get important words on a page to be "noticed" by search engines, though. Underlining text or making it bold creates emphasis and is picked up by search engines. I should also note that in modern day HTML 5, which is what responsive web pages use, you will want to use the strong tag (<strong>) instead of the bold tag (<b>). The <strong> tag represents a strong emphasis to the words whereas the <b> tag simply indicates a stylistic font difference. More important than repeating your keyword phrase over and over is having LSI phrases on your page. We'll talk about that next. LSI is the acronym for the geek-speak concept of "latent semantic indexing" - a fancy way of saying "synonyms" or "related keyword phrases". Due to things like Google's Rank Brain and Hummingbird algorithmic filters, the intent of a searcher's query is just as important as the actual words that they type in. Therefore, including words that are related to your targeted keyword phrase is extremely important because they give clues to search engines that they are on the right track. How do you know what LSI words to add to your page? Well, Google pretty much tells you! There are two simple ways to know what other words Google might expect to "see" on your page. Autocomplete: Any time you perform a search in Google's search bar, autocomplete tries to guess what it is that you are searching for so that you can just click on the desired search phrase and not have to type so much. Even when you have finished typing your desired search phrase, those suggestions remain. If you can get any of the autocomplete search terms on the page, Google feels very confident that is a good search result for the targeted keyword phrase. Related Searches: Better yet, scroll down to the bottom of any Google search results page and you will find a "Related Searches" box. Typically, those phrases are even better indications of the LSI phrases Google might expect to see on your page. If you've already written your pages well for people, you might find that a few of them already appear on your page. Other times, a simple word substitution here and there does the trick. Occasionally, you'll have to be a little creative. The important thing to note, though, is that whatever you add or change, it has to appear natural. Only add/change what you can naturally add or change. Don't just start cramming all of the phrases onto your page if they don't make any sense. Not only does that put you at risk for bad content with algorithm filters like Panda, but you will lose your credibility with site visitors by trying to use phrases like "bowling balls for sale cheap" (try to use that in a grammatically correct sentence!). Also, don't let exact phrases or strict word order dictate your decision on whether or not to include one of the related phrases. Anything close to them will likely help your page rank better for the targeted keyword phrase. For instance, instead of trying to use "bowling balls for sale Walmart" write something like, "Sure, you can try to find bowling balls for sale at Walmart; you won't find a very good selection. Here, we have hundreds of bowling balls to choose from!" That said, it certainly can't hurt to optimize your images so that you are getting the best quality you need but not so much that it slows pages down. I hate pages that take forever to load as much as the next guy. Having slow pages will definitely send your bounce rates soaring and when people leave your site out of frustration before a page loads, they can't possibly buy anything! Image Alt Tag: Image alt tags were invented so that if an image did not display correctly, people would know what was supposed to appear in that block of white space. It also helps programs that read pages for blind people know what an image on a page is supposed to represent. Most important, from an SEO perspective, is they tell search engines what an image is. Make sure that all of your images have alt tags and use keyword targeted text to describe your images in the alt tags. Image Filename: The file name of the image that you upload also helps search engines determine what they are. Having images with names like 12sdf436_sml.jpg doesn't do a thing to help them figure out what an image is. If the images you intend to upload have ambiguous names like that, change them to something that makes sense like "otb-apex-blue-bowling-ball". Not only will that help search engines know what an image is, which may help your page rank better, but it sure will make finding a product image in your file manager easier if you ever need to edit it! Text Surrounding an Image: In addition to the file name and alt tags of an image, the text immediately before and after an image help give the image more meaning. Those areas surrounding an image are excellent places for LSI keywords and synonyms! Once again, don't overdo it. Your alt tag HAS TO accurately describe your image. If you try to jam keywords into the image alt tag that have nothing to do with the image, don't be surprised if the page gets penalized. Usually this is a manual penalty, assessed by a member of the Google web spam team for manipulative practices. When one of Google's manual site reviewers hits you with a penalty that the algorithms didn't catch, Google instantly loses trust in your site and it is very hard, if not impossible, to earn their trust back. When Google does not trust you anymore, your search results plummet. Over the years, I've seen a whole lot of people's websites who have been through our eCommerce course and am constantly amazed by how many people ignore the part of the training where it tells them that they need quality, original content on all of their pages. Time after time I see websites that have zero words on their most important pages - the home page and category pages. If there are too many pages without any or much content (what we often term "thin content" pages), your entire website could take a rankings hit. Seriously, folks, if there are no words on a page, there is nothing for the search engines to index. When your pages are not indexed, it's pretty hard for them to find their way to the top of the search rankings. Even if they are indexed, they are never going to show up in search results because search engines have no clue what the pages are about. How would they without any words? Nobody has ever accused me of being brief. In school, my teachers often accused me of having "diarrhea of the mouth", I talked so much. Nowadays, it seems that affliction has leapt from my mouth to my fingers. I'm not sure the last time I wrote anything that wasn't well over 1,000 words. I have a tough time keeping things I write under 3,000 words! It turns out that's not a bad thing. Recent studies seem to indicate a very heavy correlation between the number of words on a page and how high that page ranks. Neil Patel wrote an excellent article about how important "long form" content is and how much better it does in search engines than shorter pieces. Neil's blog post contains links to various studies that show this to be true. And, of course, our own experience with various eCommerce websites run by Store Coach shows that the pages that do the best are the ones with the most content. It's not all about search engines; though, customers appreciate in depth articles that help them research, review and better understand the products on your website. It makes them feel more confident and when they feel more assured that they are making the right decision, they click the Add To Cart button more often! Although the number of words on a page can certainly help it rank better, don't just stretch out your copy in order to get as many words on your pages as you possibly can. Quality is just as important to search engines as it was to your teachers when you had to write a 500 word essay. Your teachers may have given you a poor grade when you stretched the words out with any random thing that came to mind in order to hit that minimum word count. Search engines give you a bad grade by penalizing low quality pages. Above and beyond anything else, the content of your pages HAS TO be unique. The biggest mistake I see day in, day out, is people who simply copy and paste manufacturers' text onto their product pages and think they are done. First of all, there is little chance that those pages will rank high. They may not even get indexed by search engines. They already have that content indexed from the manufacturer's website and likely, countless other pages that have copied and pasted that same text. Even if it is indexed, it surely won't rank higher than all of those other sites' product pages that were online before yours - at least not without significantly better links! You need to create something new, different and better than what everyone else has done. Put yourself in the shoes of site visitors who don't have a clue what all of the product specs mean. Explain to them the benefits of the features you list, show them how they solve a problem, create copy that allows them to envision themselves using the product and having a better, happier, more confident or more productive life (whatever applies). If you have access to product assembly instructions or user manuals, upload them and allow people to check them out before they order a product. If you can find product videos (or can record them yourself), definitely include them. Don't just link to those videos; embed them on your website pages. If you have any testimonials or product reviews, definitely include that unique content as well. Potential customers love honest opinions from others who have bought the product. If you follow our advice and use Shopify, they have add-ons that you can install that allow customers to ask product-specific questions that you can answer. That's great, highly relevant content for a product page! Finally, include reasons to buy from you - free shipping, low price guarantee, satisfaction guarantee, etc. on each and every page. Although that information may be available on other pages of your website, the page a site visitor is viewing may be the only page they ever see on your website and, if nothing else, it adds that much more content to your pages. The best advice I can give to anyone who is creating a new website is to first create a buyer's guide that helps people discover the subtle differences between different products and select the attributes that are most important to them. That buyer's guide will not only help customers make more informed decisions, which lead to more sales and fewer returns, but it will help you become an expert about the products you sell. It will also make creating product pages much easier. Just glance at your buyer's guide and make sure that all of the things discussed there are also discussed on each and every product page. Truly, the content you create, if better than your competition's, can help you sail past them in the search rankings. Better content is read more, shared by more people and linked to more often. Usually, when you create pages in this manner, there is far more content than the large majority of competitors' sites have. All of those things help your pages rank better. Linking to other pages of your website within the text of your home page, category pages, product pages or resource article pages is a fantastic way of helping your on-page SEO. You have complete control of the anchor text that is being used for the link and that anchor text helps influence the ranking of the page that you are linking to for that phrase. Therefore, whenever the opportunity exists to link to a page within your own site, take advantage of that opportunity. Textual links are more powerful than navigation links. If you have a buyer's guide that discusses a particular product, link to it. If it mentions a category of products, link to that category. If your home page content summarizes what people will find in categories on your site, link to those categories. It never hurts to link to the main category from a product page, either. A word of caution; don't use the same exact anchor text every single time you link to an internal page. If you are linking to your "Acme Roadrunner Poisons" page, switch it up using "Acme Roadrunner Poisons", "Roadrunner Poisons","Discount Acme Roadrunner Poisons", etc. Repeatedly using the same keyword rich anchor text might lead to an over-optimization penalty. Also, keep in mind the nature of the page you are linking from and where you are sending people and consider whether opening the link in the same window or a different window or tab will be beneficial to you and the site visitor. You would never want to take people away from a page where you sell something to a helpful guide in the same window, for instance. You want to have that "money page" waiting for people when they close the helpful resource article. Likewise, if you have a buyer's guide that provides truly helpful information that needs to be read in its entirety in order for a person to make the best buying decision, consider having links to products or category pages within that buyer's guide open in a new window or tab so that people don't have to come back to the buyer's guide and try to find the place where they left off. Many people have been led to believe that every time they link to an external website, they are passing some of their valuable "authority" (also sometimes called "link juice") to the other page, weakening the links to pages on their own site. Because of that, many people "nofollow" links to other websites. If you are linking to a page on a well-respected site, the exact opposite is true. Providing links to pages that search engines know are excellent resources gives your website more credibility and actually increases the trust that search engines have in the pages that link to those established authority pages. If you had a website that sold pitching mounds, linking to a page at littleleague.org that discusses the rules of baseball and the distance between the mound and the plate is very helpful to your site visitors and is seen by search engines as being a valuable addition to your page. Not only does linking to other respected websites with followed links help your pages rank better, but it gives you the opportunity to establish a relationship with the other website. By all means, contact the other website to let them know how valuable you think their website is and let them know that you linked to one of their pages. Someday, they may return the favor! As with many things SEO, there are words of caution here. Don't link to a competitor's website. Sure, they may have a valuable resource but you sure don't want to be sending your site visitors to another site where they can purchase the same products you sell. If you like their resource so much, create your own version of it but make it even better. Then, see if you can get any sites that are linking to their page to link to yours, instead! Also, ALWAYS open links to external sites in a separate window or tab. You don't want people losing their way back to your site, after all. This is not only important when linking to external sites from the text of your pages, but make sure that any social sharing buttons on your site also open in separate windows or tabs. They aren't going to be spending any money with you from your Twitter page! In an effort to measure how well searchers are satisfied with the content on the pages they are being sent to from the search results, Google introduced a new filter to its algorithm that they called "Rank Brain". Obviously, computers are not "smart" enough to figure out if one piece of content is better than another piece of content or that one is better written and provides better answers to a question than another so they had to come up with some way of measuring a site visitor's satisfaction with the page/site they are being sent to from search results. The solution, was something we call "dwell time". The longer someone spends on a page or website, the better chances they are getting quality information. You certainly wouldn't stick around on a page or site if it did not provide the answers you were seeking, would you? The concept makes complete sense if you think about it, but it causes a few problems. If you are simply trying to find out the temperature outside, you're not going to need to "dwell" on a page or website very long to find out that answer. If you were looking for instructions for how to build your own solar panels, you would undoubtedly spend much longer on a page that gave you good instructions. The easiest way for an algorithm to determine if your question was answered in whole or in part is what you do AFTER you arrive at a page. Do you "pogo stick", returning to the search results and click on another site or not? If you keep clicking on other results, you likely did not get the complete answer you were looking for. Obviously every search is going to have different amounts of time that people spend in the results and the algorithm undoubtedly takes that into account, measuring each web page against other web pages for the same search query. Sites that tend to have longer "dwell times" for any given search query compared to other sites for that same query will get a bump in the rankings. This means you should do everything you can to keep people on your pages as long as possible. One way to do that is creating long, comprehensive articles, as I pointed out in the "Length of Content" section, above. Another excellent way of increasing dwell time is adding videos to your website. Even better, since search engines cannot "listen" to the words in a video, if you really want to optimize your page as best as you can, put a written transcript of the video underneath it. That will add a whole lot of extremely relevant text to your pages that undoubtedly is chock-full of important LSI keywords! Although I covered a lot in this article, there is nothing here that is mind-blowingly complex. It makes perfect sense that all of these things will help your pages rank better. For sure, the hardest thing is creating a decent amount of quality, unique content on your pages - especially product pages if you have hundreds or even thousands of them. Just take things one step at a time and do what you can do. Set a goal every day to spend at least an hour working on each one of these things and work on pages one at a time, starting with the pages containing your most important keyword phrases. You may only be able to re-write two product pages in an hour. If you have 200 products, it'll take you 100 days to finish. Each day you will be one day closer to the end and the sooner a page is perfectly optimized, the quicker it will gain traction in the search engines.